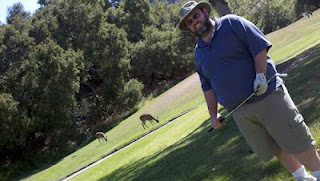 We had some company on the golf course! And I managed to nail a bird. Accidentally, of course, I'm not that good a golfer.